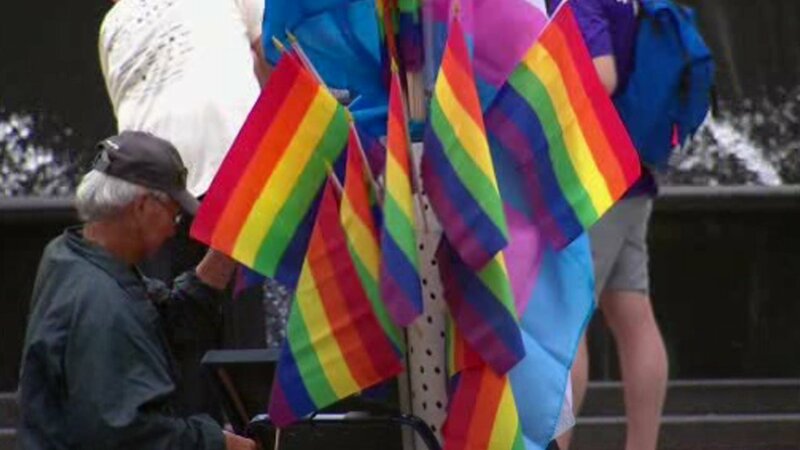 NEW YORK (WABC) -- Rainbow spirit is settling over New York City for Pride Week. Festivities kicked off Friday evening with an event simply called "The Rally." It was a re-imagining of the first pride rally in the city back in 1969, when 500 people gathered for a gay power demonstration in Washington Square Park. That was followed by a candlelight vigil in Sheridan Square.